I am constantly frustrated when doctors tell me they send their patients to inferior facilities just because “it’s easier”. After 8 years of offering the finest quality 3T MRI in the state, doctors and their staff still seem unaware of how much better 3T MRI is. Ask your doctor one simple question—and this will tell you how much they know. Is 3T better for MRI? I am not sure how they will answer the question, but write it down, call me, and tell me so we can discuss how informed your doctor is. I was at a medical meeting where a very intelligent and excellent doctor asked me if the artifacts at 3T were too hard to deal with. We don’t really have many artifacts at 3T- well, no more than they have at 1.5T or 0.3T (yes, 0.3T—instead of 3.0T does still exist). I was encouraged that he asked—but the question itself spoke volumes. This information is readily available. Many doctors simply do not understand why an MRI trained radiologist with a dual fellowship in body MRI and neuroradiology could help them improve care and actually save money. MRI provides a road map for your treatment. You want the combination of the best pictures and an experienced radiologist. When you have a pain or radiculopathy high quality MRI reveal the nerve roots, bone marrow and surrounding tissues. X-rays see only bone and calcium and, as a result, their evaluation of soft tissue is poor. Most pain is caused not by calcifications—which are old findings and can take years to develop, but by acute soft tissue tears, muscle sprains, and disc herniations. To reliably see this, you need the highest possible resolution. Most scanners will only scan at very low resolution, whereas a 3T scanner can scan at HDTV resolutions. This is the difference between 3T MRI and 1.5T MRI—the ability to scan with high resolution. And, of course, that there may be things that might not be seen at weaker resolution. High resolution adds to our ability in almost every area of MRI. You need only call and ask your radiologist. Dr. Chao is happy to discuss such issues with you and your doctor. Surprisingly few doctors have called in the last 8 years. It’s important to be well-informed about new technologies. More importantly not only is the MRI machine important but the facility design itself is important. On our 1.5T scanner we actually installed a TV in the ceiling! It might sound odd, but by using a TV to distract the patients we get better MRI studies because a patient’s comfort is important. You can watch the TV in 50% of all scans. Our patients care and tend to come back when they come once, they notice the difference. We also tend to provide reports along with the actual images before the patient leaves our office. As you know, we also use only the safest MRI contrasts. Ask your doctor if they know what nephrogenic systemic sclerosis (NSF) is. In 2008 when it was first described—we immediately switched to contrast agents that do not cause NSF. We are unaware of anyone else in Delaware who did this at the time, though some have now switched. We are located in the Abby Medical Center right next to an emergency medical facility who sends us patients to rule out stress fracture on the day of the injury. 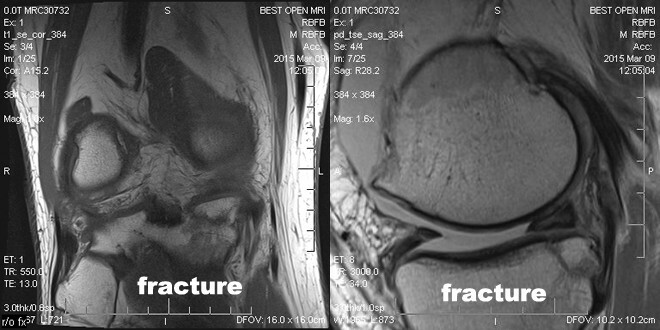 We saw a patient who slipped on the ice, his x-rays were negative—but his MRI showed 5 soft tissue abnormalities and a stress fracture. This was done on the same day. Our Abby medical center BEST OPEN MRI is the largest bore 1.5T scanner and the shortest bore OPEN MRI at 1.5T. 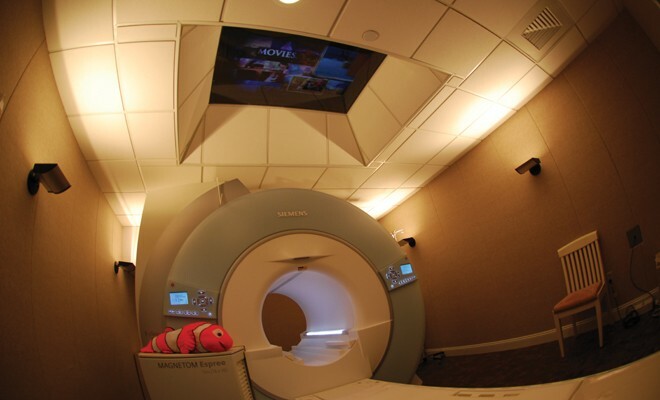 This means the most comfortable MRI scan you have ever had. Which results in a better study and clearer pictures. Doctor Chao built this state of the art facility because he cares. Dr, Chao has 31 years experience and wants to share it with you. 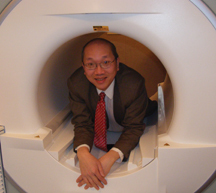 Please ask questions and visit our websites: www.safecontrast.com, www.bestopenmri.net, and www.mriconsultants.net.